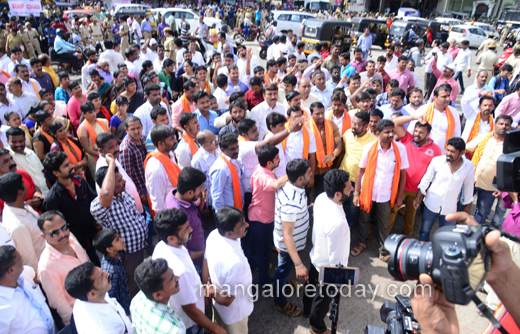 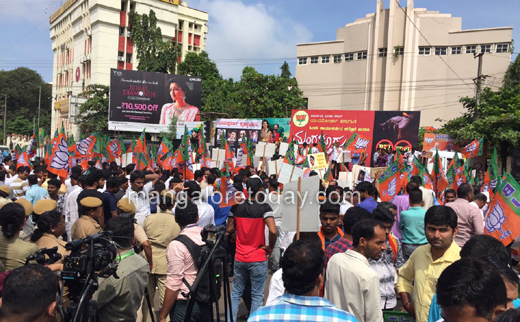 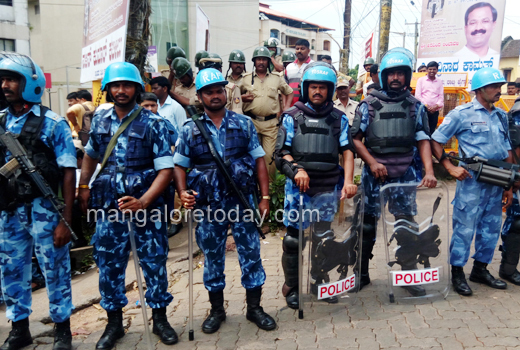 Mangaluru, Sep 07,2017: The Congress government and the BJP are set for a bitter showdown on Thursday as the party goes ahead with its Mangaluru Chalo rally from Jyothio circle. 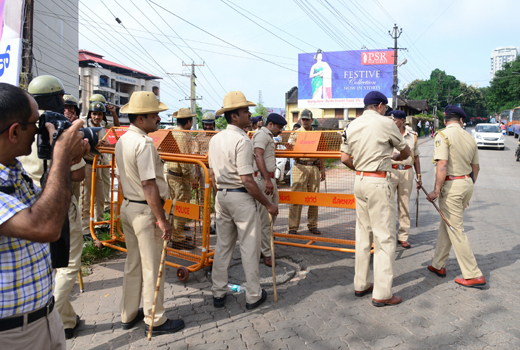 The police has denied permission for a bike rally and told the BJP to restrict its protests to Nehru Maidan, the party said it has gathered 10,000 of its workers for a protest through the city streets. 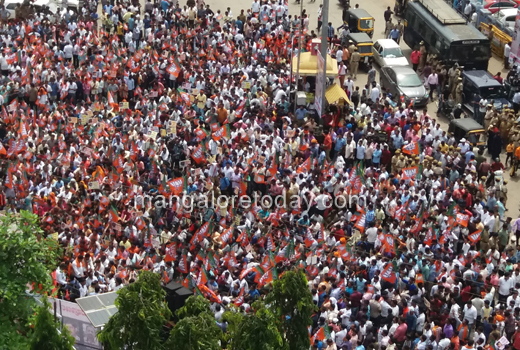 Several party leaders, including state BJP chief BS Yedyurappa, are expected to address party workers. 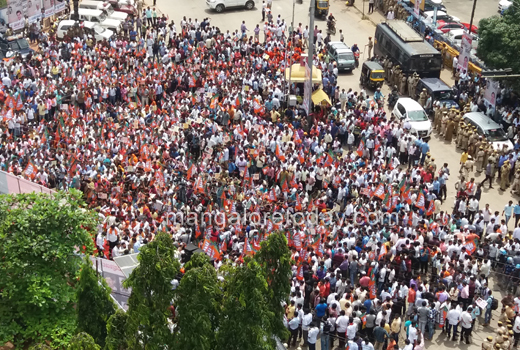 The entire city has been turned into a fortress with the government hoping to avoid a repeat of the clashes witnessed on Tuesday in Bengaluru. 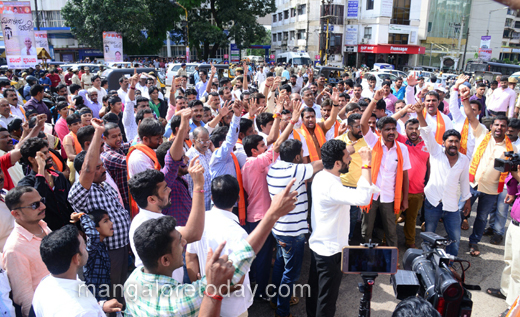 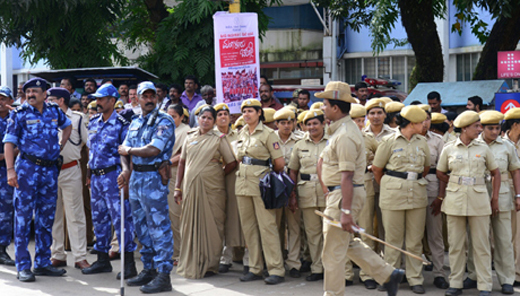 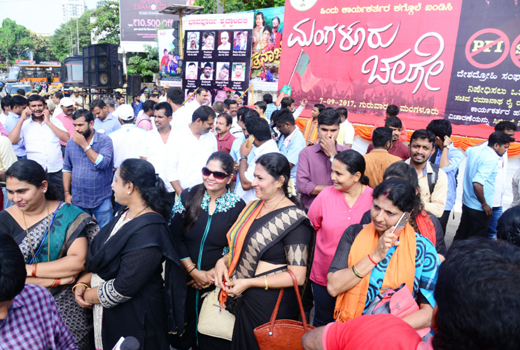 The protest by BJP workers in the heart of Mangaluru and the heavy police presence has led to traffic chaos. 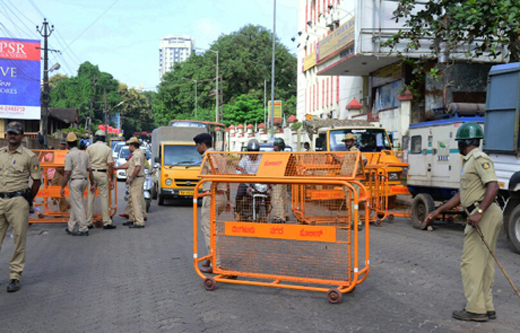 Jams are being reported from several parts of the city. 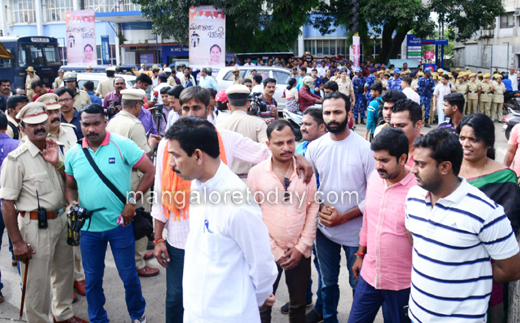 BJP general secretary CT Ravi, MP Pratap Simha, Jagadish Shettar, former Home Minister R Ashoka, Shobha Karandlaje and MP Prahalad Joshi have arrived at the protest. 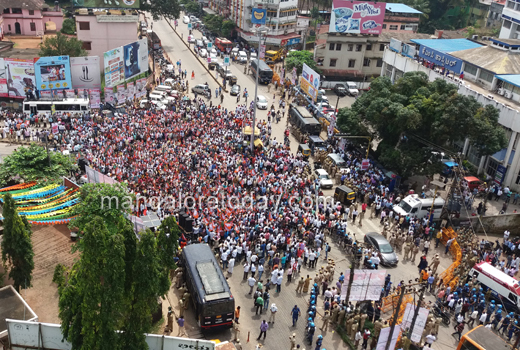 Such a huge crowd gathered , but happening in a peaceful manner which is very important . 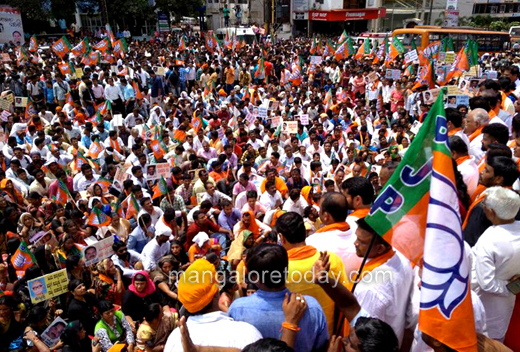 BJP workers have gathered in Large numbers at Jyoti Circle ,but will the congress remain silent watching all this ?